Prologue This offering attempts to place the ‘Jobs and Growth’ song line into Australia’s current and projected economic situation. Background is Australia’s terms of trade, past innovations, the imperative for export income and closes with comment on poor academic achievement and Government funding as drivers for growth into the 21st century. If Australia is to prosper ‘growth’ must be directed toward generating export income. In an expanding 21st century, economy improving education is necessary but unemployment is still forecast. The policy of encouraging domestic employment will not increase the national wealth in an expanding population – it will merely churn the money supply. This activity will encourage quantitative easing, a devalued currency, deflation and more expensive imports – as experienced in Europe today. ‘Growth’ for Australia must be directed to generating export income. Much has been made of a ‘transitioning economy’ but the Government has apparently not articulated a specific sense of direction, although small business has been given a boost – but how much product is export oriented? 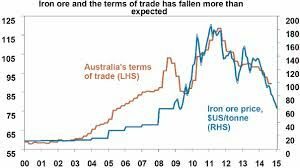 For Australia to prosper, the monthly terms of trade must be returned to positive, such that the national budget at least returns to break-even; this will stabilise the national debt. The flip side is that high tech export industries do not require a large relatively unskilled work force. 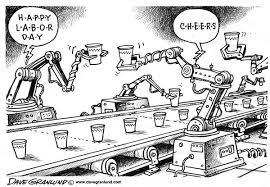 Canada found transitioning toward a high tech economy does not substantially reduce unemployment but it does increase GDP. Top Exports – $329 billion. Iron ore, Coal-Gas-Petroleum, Wheat, Copper, Aluminium, Cotton, Wool, Gold, Financial services. Top Imports – $318 billion. Travel-Freight-Transport services, Motor vehicles, Computers, Refined petroleum, Furniture, Telecommunication equipment, Heating/Cooling equipment, Iron-Steel-Aluminium structures, Professional services. Terms of Trade + $11 billion. Additional impost is the interest on National Debt – $16 billion. The budget deficit for 2016-17 is $37.1 billion which is forecast to decrease to $6 billion in 2019-20. (Australian Government Budget 2016-17) It is these deficits, among other factors, that provoked a warning from the Ratings Agencies on Australia’s AAA credit rating. Ford-Toyota-Holden car plants, SA/Vic; Electrolux, NSW; Smiths Crisps, WA; Amcor, Vic/Qld; Buizen Yachts, NSW; Arrium, SA; Blue Scope Steel, NSW/WA and food producers Rosella, Windsor Farm Foods, Dairy Bell. The picture is concerning despite, during 2015, over 300,000 jobs were created. Unfortunately, many were part-time and there was a trend for monthly hours worked to decrease. (Fact Check March 2016 and ABS June 2016) Critical missing information is the distribution of labour between domestic and export oriented jobs. ABS should collect this information. Tourism, year ended June 2016. Recorded 7.85 million visitors – conservative income $6 billion. Science and Engineering. Aircraft Black Box, Electric Drill, Winged Keel, Frazier Lens, Racecam, Refrigerator, Splayds, Triton Work Centre, Atomic Absorption Spectrometer, Permaculture, WiFi, Underwater Torpedo, Photo Lithography, Stump Jump Plough, Mitchell Thrust Block Bearing, Humespun Pipes, Dethridge Wheel, Self Propelled Hoe, Coupé Ute, Froth Flotation, Quantum Bit, Anti-hacking Software, Blast Glass. Medical. Spray-on Skin, Pacemaker, Cochlear Implants, Ultrasound, Plastic Lenses, Zinc Cream, Gene Silencing, Pollilight Forensic Lamp, Blood Test for Still -borns. Commercial. Polymer Bank Notes, Feature Films, Si-Ro-Set Creasing, Tank-bred Tuna, Wine Casks, Coolgardie Safe, Automatic Totalisator, Surf Ski. Australians are innovative and growth should be directed towards universities, research establishments and selected ‘garage’ entrepreneurs in a bid to improve Australia’s terms of trade. Despite the Turnbull quote “Innovation is the critical aim of the Administration”, both the Abbott and Turnbull Governments have reduced the influence of the CSIRO by budget cuts and retrenchments. Recently however, the CSIRO has been boosted with a $300 million Innovation Fund to promote a data driven economy, co-investment and an acceleration program. Universities have also endured funding cuts in the 2016 Budget. A recent Vice-Chancellors’ meeting recorded “a deep disappointment at the proposal to reduce public investments”. Among the reductions was a $2.5 billion cut over the forward estimates to 2019-20 and a withdrawal of an efficiency dividend of $1.2 billion. These cuts are inexplicable in the light of a statement by Professor Ian Jacobs, Vice-Chancellor, UNSW who indicated on ABC RN (18 August) that in 2014 Australian universities contributed $60 billion to the Australian economy by way of innovation and commercial research. The dilemma for the Australian Government’s ‘stairway to the stars’ is financially compromised by the competing requirements of Health, Social Security, NDIS and Education,; the latter, perversely, being critical. Another brake on Australia’s drive toward an innovative future (jobs and growth) is the poor uptake by Australia’s youth in the STEM subjects. The OECD global education ranking for Australian fifteen year olds in maths and sciences was 14th. Rankings are: 1 Singapore, 2 Hong Kong, 3 South Korea, 4 Japan, 5 Taiwan——- —11 Poland, 12 Vietnam, 13 Germany, 14 Australia. As if on cue, there has recently been disappointing comment on NAPLAN tests in Australia. In transitioning to a 21st Century high-tech industrial economy, Canada announced in 2015 their GDP increased but with little opportunity for increased employment. A critical driver in the 2016 Budget to promote ‘jobs and growth’ is the reduction of tax rates from 30% to 25% over the forward estimates such that by 2026-27 cost to the taxpayer will aggregate $48.2 billion. (theaustralian.com.au/budget, 6 May: Smart Company, 3 May 2016) If the principal outcome of this initiative is to boost domestic employment supplying a domestic market, it will increase GDP but the terms of trade will deteriorate as business imports will increase, it is vital these tax benefits promote export growth. To round out this policy, the Government must actively encourage Australian industry to establish export markets and reward successful companies for this. This must become the mantra for ‘jobs and growth’ otherwise living standards will continue to fall. 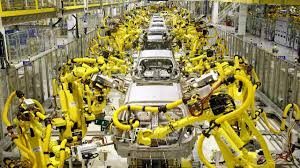 Epilogue This opinion piece has attempted to examine issues lurking behind the Government’s song line ‘jobs and growth’.